Please remember to give a valid e-mail address and telephone number for contacting you. All deliveries come in discrete packaging. We aim to provide our customers with the fastest service possible. Most items are in stock for delivery next working day if we receive your order before 2pm. If this is not the case it will usually be one further working day but may be up to four working days. If the order is going to be any longer than that we will get in touch to let you know. If you are making an order that is time-sensitive please contact us by email at sales@thehydrostore.co.uk or 0113 282 0961, and we will confirm if we can fulfil your order in the timeframe required. AM/PM delivery, delivery before 10.30AM, delivery before 9AM, Saturday delivery, and Saturday AM delivery is available at an extra cost. If you require this or have any other specific requirements when it comes to delivery please e-mail us at sales@thehydrostore.co.uk or call us on 0113 282 0961 and our staff will be more than happy to try their best to accommodate your needs. Please note: Due to a recent spate of fraudulent activity we are unfortunately unable to send orders out to any address other than the billing address. If you are a customer within the UK we are pleased to be able to offer you the ability to pick your order up from your local UK Mail depot. Click here to find your nearest depot www.ukmail.com/find-a-depot . This way if you are at work and you don't want to miss your order delivery you can pick it up outside office hours as most UK Mail depot are open until 7:30pm. If you want to select this option you can either find the depot yourself or call 0113 282 0961 and our staff will take care of it for you. There are four main zones in the UK with different delivery charges. England, Wales, and Scottish Lowlands - £6.95 for orders up to £50 - FREE DELIVERY ON ORDERS OVER £50. A flat rate of £6.95 for delivery on all orders in this zone, except in cases of oversized or heavy products. Free delivery on orders over £50. 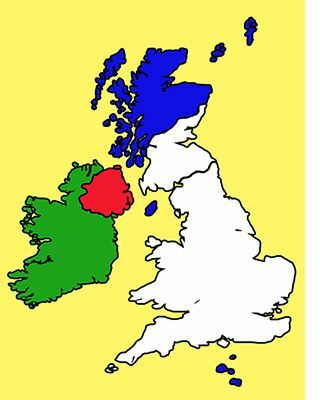 Areas of England not covered at this level are The Isle Of Man, The Isle of Wight and The Isles Of Scilly, which are at the same rates as Scottish Islands and Islands. Some bulky items may carry surcharges. These will appear in delivery costs, even when the order qualifies for free delivery. Scottish Highlands And Islands, Channel Islands and Isle Of Man - £19 per parcel up to 30kg. Not eligible for free delivery. Depending on area this service may be 48 hours. Areas in the UK with postcodes AB31 to AB38, AB40 to AB56, HS, IV1 to IV28, IV30 to IV32, IV36 to IV49, IV51 to IV56, IV63, KA27 and KA28, KW1 to KW17, PA20 to PA38, PA41 to PA49, PA60 to PA78, PH4 to PH44, PH49, PH50 and ZE will be charged £19 per parcel up to 30kg. Any additional parcels required for delivery are charged at £19 per parcel each. You will be contacted for further delivery costs if this is the case. For examples of weights see HERE. The Isle of Man, The Isles Of Scilly and Channel Islands are also in this price bracket. Northern Ireland - £17 per parcel up to 30kg. Not eligible for free delivery. Delivery to Northern Ireland is charged at £17 per parcel up to 30kg. If any additional parcels are required you will be contacted to make further payment. For examples of weights see HERE. 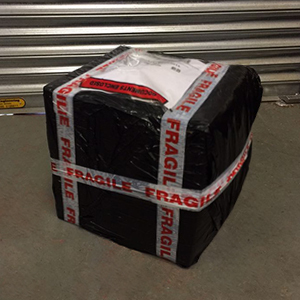 With some bulky items may mean extra parcels may need to be charged due to volumentric costing coming into account. If in doubt please contact us with what items you are getting so we can give you an estimate. The Republic Of Ireland ( EIRE ) - £22 per parcel up to 30kg. Delivery to the Republic of Ireland is charged at £22 per parcel up to 30kg. If any additional parcels are required you will be contacted to make further payment. For examples of weights see HERE. There are 5 main zones on continental Europe with different delivery charges. For your zone please refer to the map to the right and the lists below. Zone 1 - £15 per parcel up to 31kg. Not eligible for free delivery. Delivery to these countries is charged at £15 per parcel up to 31kg. Any additional parcels will be charged at £15 per parcel and you will be contacted to make further payment. For examples of weights see HERE. Zone 2 - £18 per parcel up to 31kg. Not eligible for free delivery. Delivery to these countries is charged at £18 per parcel up to 31kg. Any additional parcels will be charged at £15 per parcel and you will be contacted to make further payment. For examples of weights see HERE. Zone 3 - Delivery Cost To Be Calculated - Not eligible for free delivery. The countries in Zone 3 are Corsica, Croatia, Denmark, Finland, Liechtenstein*, Poland, Portugal, San Marino*, Sweden and Switzerland*. Customers from these countries will be charged a NON REFUNDABLE £10 DEPOSIT. We will then obtain the cheapest quote we can for delivery and send details on how to pay this amount with the £10 deposit taken into account. If the customer decides not to go ahead with the order the £10 deposit will be kept to cover costs incurred from packing. For examples of weights see HERE. You can also contact us in advance with your order details to obtain an estimate. * Countries from outside the EU will be given a surcharge of £26 for the Import Clearance Cost. Any taxes attained at non EU borders are payable by the buyer. Zone 4 - Delivery Cost To Be Calculated - Not eligible for free delivery. The countries in Zone 4 are the Balearics, Bulgaria, Greece, Sardinia, Sicily, Norway* and Romania. Zone 5 - Delivery Cost To Be Calculated - Not eligible for free delivery. 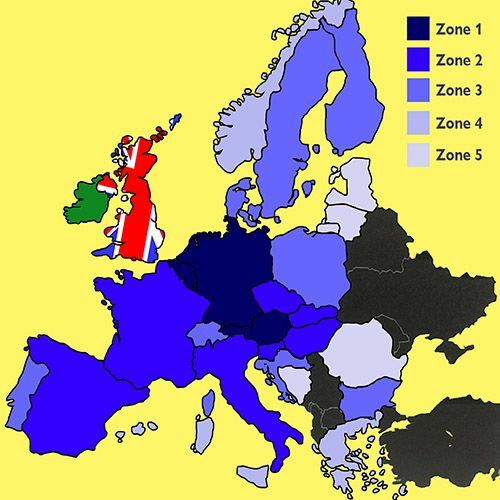 The countries in Zone 5 are Andorra, Bosnia & Herzegovina*, Estonia, Gibraltar and Latvia. Customers from the USA and other non European countries will be charged a NON REFUNDABLE £10 DEPOSIT. We will then obtain the cheapest quote we can for delivery and send details on how to pay this amount with the £10 deposit taken into account. If the customer decides not to go ahead with the order the £10 deposit will be kept to cover costs incurred from packing. PLEASE NOTE: UNFORTUNATELY WE CANNOT SEND ANY LIQUIDS AND GELS TO THE USA. These weights are examples to help estimate the weight of your parcel. These weights are only for estimate purposes. CLICK HERE TO SEE PAYMENT DETAILS.